The best way to determine if MemberLeap is a perfect membership solution for your member-based organization is to explore our 'back-end' Admin Menu and Members Area. 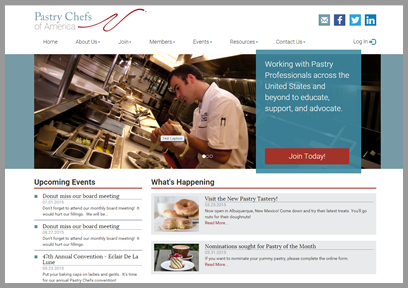 We have set up this fictional Pastry Chefs of America association demonstration website, and we invite you to take an online tour of our system. We will give you immediate access to login as both a Member and an Admin, so you can see how our actual software works for each user level. If you have any questions or would like to schedule a live guided demo, please let us know. One of our Membership Solution Consultants would be more than happy to help you.